I will answer your kind letter and let you know we are getting along. Will and the children are well and I am about the same. Will is working on the railroad. Father was to see us, I think you know it. I would liked to have him stay longer with us. Katie was ten years old last Wednesday, April 27. She goes to school every day. How are you all getting along, how is Elnora? I suppose she enjoys these brite sunny days like Albert. He can hardly find enough time to eat. To day is a very warm day and it is just lovely out doors. The grass is so green and the trees are all in blossom, the air is just fragrant. I suppose your school has let out, here it will last all this month yet children will be glad when it lets out; it seems hard for them to sit in school when it is so warm. Well sister Rosa has got back to the old homestead. I suppose she finds enough work to do. It is now over four months since our dear mother died. Peacefull be her slumber. Now I will close writing, hoping these few lines will find you all enjoying good health. Regards to all, write soon. Notes: I'm with Tena and Albert. Nice spring days are too good to spend indoors. I had this letter typed up and ready to post several days before May 1 and then forgot all about it while I was busy in the garden. Anna Margarethe Zülch Roth passed away on Christmas Day 1897. 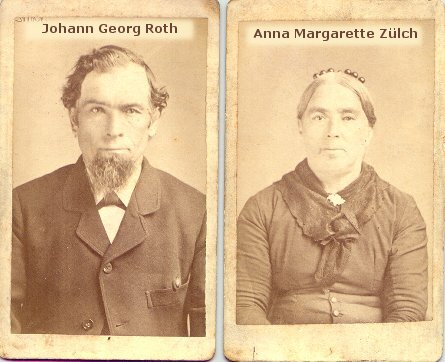 According to the records of St. Peter's Evangelical church in Amherst, Ohio, she was born in Germany on February 2, 1834 to Conrad Heinrich Zülch and Elizabetha Brand. 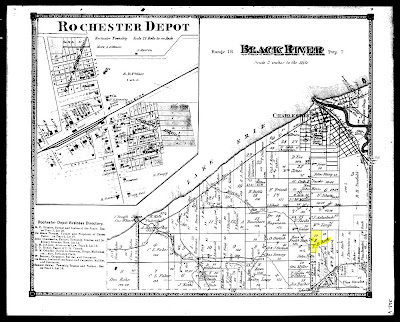 She met and married Johann Georg (J. George) Roth in Lorain Co. Ohio, where both their families settled. They had at least five children, but only three daughters survived to adulthood - Christena (Tena), the author of these letters; Katie, the recipient of these letters, and Rosa, the sister who moved back home to keep house for her father. 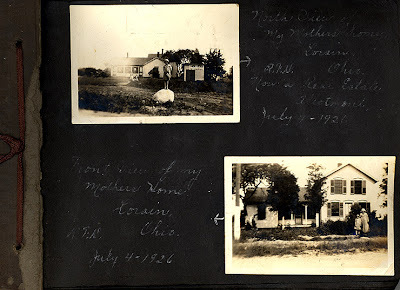 The Roth "homestead" was a farm in Black River Township, Lorain County, on Oberlin Road (now Oberlin Aveune). This is currently within the city of Lorain. Housekeeping was a full-time skilled occupation in the late 1800s. Just consider laundry, for example. The instructions in Buckeye Cookery, and Practical Housekeeping take up almost 11 pages, although several of those are stain-removal recipes. When Tena writes that she supposes Rosa "finds enough work to do", I don't think she meant that Rosa was looking for ways to occupy her time, but instead that there was too much that needed attention.